I’ve done a few and they are pretty fun! What I love about them is that there’s less pressure on your performance and you can do them on your own time wherever you like. The Rock ‘N Roll Marathon Series has debuted its very first Virtual Race, the Making a Band Series, and I’m here to tell you all about how you can sign up! I’m linking up with Annmarie, Nicole, Jen, and Michelle for Wild Workout Wednesday and Susie, Debbie, Lora, andRachel for the Running Coaches Corner! Disclaimer: I am a Rock ‘N Blogger and received free entry to the Virtual Run Series. Can I admit that for a few years, I was a HUGE fan of Guitar Hero? It’s a video game where you play rock songs on the “guitar” with increasing complexity, but it eventually expanded to include the whole band – drums, bass, and vocals. I used to play Guitar Hero on my Nintendo Wii with my sister, and we’d have a blast! We still haven’t completed Metallica’s One on Expert Level as a band…sorry, sis! Rock ‘N Roll’s Virtual Race Series really takes me back to those times. It’s a fun way to rock out while on a run. You have 3 different 5K’s to run this summer – guitar solo, drum solo, and lead singer. And of course, you’ll get some awesome medals in the process! If you run all 3, you get even more swag! Want to make your own Rock ‘n’ Roll track? 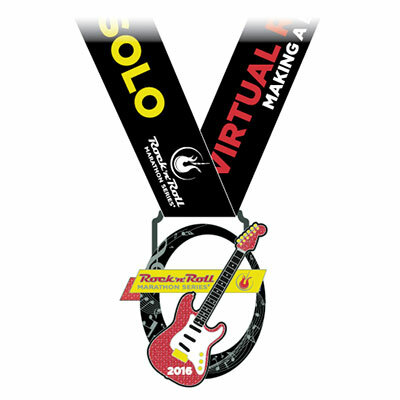 Register for the Rock ‘n’ Roll Virtual Run- Making a Band and run all three races. You’ll receive all 3 medals and a bonus 4th medal for Making a Band! Each virtual race has its own unique medal. If you’ve ever run a Rock ‘N Roll Race, you know that they make medals of the highest quality! Above is a photo of the Guitar Solo medal…not too shabby, right? 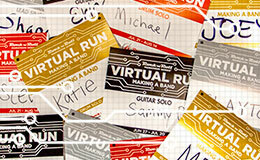 You get a few perks for signing up for the virtual run, including deals from PowerBar and for Rock ‘N Roll Merchandise! Check out the details here! 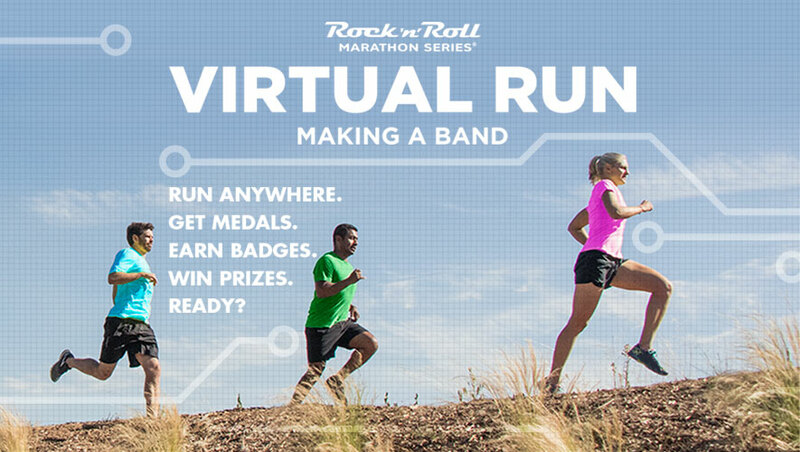 When you use the hashtag #RNRVirtualRun, you’ll get the chance to win prizes from the Rock ‘n Roll team! You could win free entry to an upcoming RNR race. Upload your submissions to the RNR website and get the most votes to win even more prizes! Unfortunately, the options for Guitar Solo and Making a Band have expired, but you can still have a blast with the Drum Solo and Lead Singer virtual runs so register as soon as you can! All event medals will be mailed out in September and the Making a Band bonus medal will be delivered in October. Be sure to share your race photos on social media with the hashtag #RNRVirtualRun! Hope to see you out there rocking it out! How do you like virtual races? Did you ever play Guitar Hero or Rock Band back in the day?